How Do You Arrest Someone Who Doesn’t Exist? 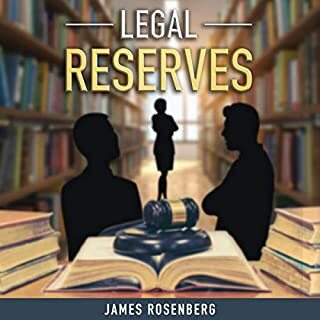 In this crime mystery, when Police Officer Danny Garcia and his partner get a call for a disturbance of the peace, they have no idea of the surprise in store for them. Danny has been angling for a police detective job, and something about this arrest stinks - and not just the alcohol on the alleged criminals’ breath. While off duty, Danny is hit with another stumper. A fellow parishioner approaches him at church, hoping for some help with a sensitive problem. As Danny takes action to unravel the mystery, he becomes convinced that a priest at his church is not what he claims to be. 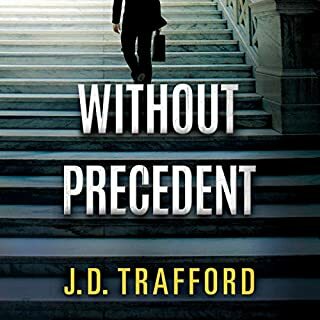 Jack Hart is a young attorney trying to escape a troubled past as he climbs the ladder at a big Seattle law firm. The demands and indignities of associate life have been softened by his interest in his mentor, Harmony Piper, granddaughter of the firm’s founder. When Harmony disappears, Jack learns firm secrets and dangers he could not have imagined - and may not survive. 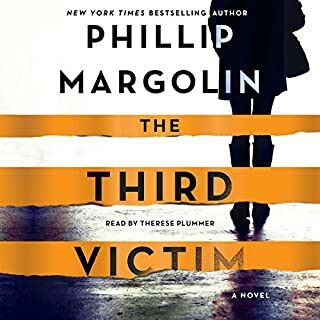 Set in 1990s Seattle, this first installment of the Jack Hart mystery series reflects a world before smartphones and constant connectivity, where a responsible and hardworking attorney says a cheerful good-bye to her colleague at midnight - and simply vanishes before morning. All the twists and turns hold your attention throughout! Noah DeBiase does a great job narrating. He knows his characters well! A Great Narrator, and no cellphones. 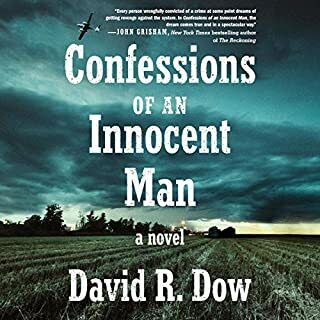 Noah DeBiase did an amazing job at narrating and delivering a story I would not have followed through to the end if it were simply a book in my hands. There was some brilliant writing, and some not so much, but Noah held it together, and kept my attention though parts where I might have just closed the book and walked away. Best example of a murder mystery! Rosemary Reeve should teach a class on how to write a murder mystery! Noah DiBiase should be in the next room teaching would-be narrators on exactly what it takes to hold a listeners attention. This book was excellent!!! I'm a busy person so it's no small feat for me to listen to a 10-hour book in one day and yet, that is exactly what happened. I got so caught up in the listen that there was no way I was going to stop. The mystery was incredible!! It was layer after layer of wonderful mindblowing whodunnit-ness!! 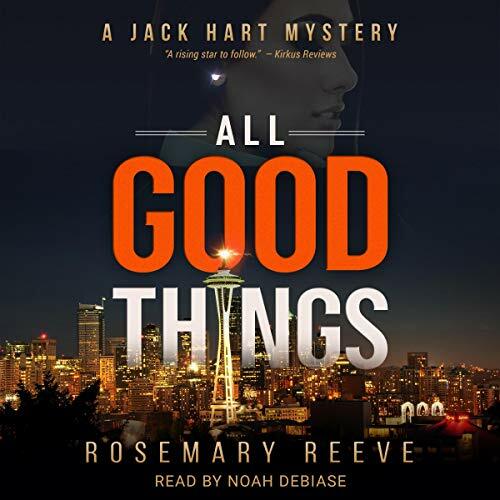 When you roll in DiBiase's funny, light-hearted and intense narration of Jack Hart and crew, then you have audiobook murder mystery perfection. 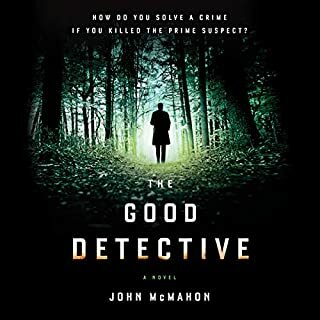 I really enjoyed this satisfying steady paced murder mystery novel. It’s propelled by a talented narrator who really knows how to deliver. I found it to be as light or as heavy of a listen as I wanted it to be. If I missed a detail or two because I was distracted, it didn’t take away from me enjoying the story....yet no details appeared were wasted so I think if I listened again I’d find new things I missed! I think one of the most lovely things of this book was the way Jack thought of Harmony. It lent a romantic undertone to the storyline I loved. I really cannot speak highly enough of the narrator, it’s what attracted me to the book in the first place. He makes a great Jack! I really enjoyed this book with all the twists and turns. Rosemary Reeve created a story with a good plot and character development It held my attention to the very end. I enjoyed getting to know Jack, Harmony and of course Betsy, Jack’s dog. With a little mystery and a dash of romance, I look forward to the next book in the series. Noah DeBaise added so much to the story with his narration, bringing the characters to life. Definitely a very good read. but the narrator was so 'cutesy ', signalling humor by putting a chuckle in his voice and drama by rushing the narrative, that I had to listen on a faster speed and still jumped ahead to the conclusion. The humor didn't work... made the main character spouting it seem cartoon-ish and one-dimensional. Sorry. Not the best thriller I've read/listened to. I didn't really love Jack Hart as a character and the way the narrator read him, he sounded like a total bro. 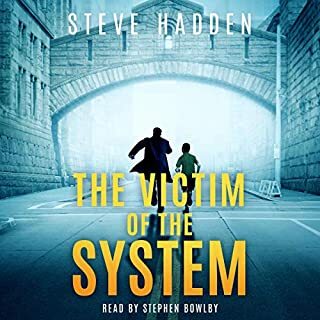 The storyline was just so/so, not a lot was uncovered as to "who done it" or even why during the book, just kind of moving forward and then everything is summarized for the reader at the end.